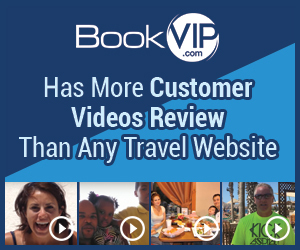 Next review Bookvip wants to change my hotel after payment. We appreciate your feedback. We understand that you were frustrated with us seemingly "blowing you off" when you made this post which was never our intention. AJ had given you a Free vacation paid for by BookVIP.com and was waiting for you to finalize the dates you wished to travel. When you called AJ back he had already left the office and was off the next day. I see on the very next day AJ was in the office he reached out to you and completely followed through on everything we promised you; a Free 4-day 3-night stay at a beautiful resort in the heart of Orlando, Florida with 2 Disney tickets included. When AJ was out of the office you chose to post a negative review saying the complete opposite. We really wish you would have given AJ the opportunity to call you back so he could fulfill the promises we made to you. We sincerely hope you have an amazing vacation in Orlando and have a magical time at Disney. I was called by a manager named AJ claiming I would get a free trip to Orlando with Disney tickets included. I have tried calling him last 3 days to book and no return call. I would not book with this company as they are full of Hot air! No follow through! Good thing I did not book my airfare!! Review #989840 is a subjective opinion of User989840.